Iceland Gull (kumlieni) J1 1st & 2nd cycle (2CY-3CY), January 2013 & January 2014, Quidi Vidi Lake, St. John's, Newfoundland. Picture: Lisa de Leon & Peter Adriaens. 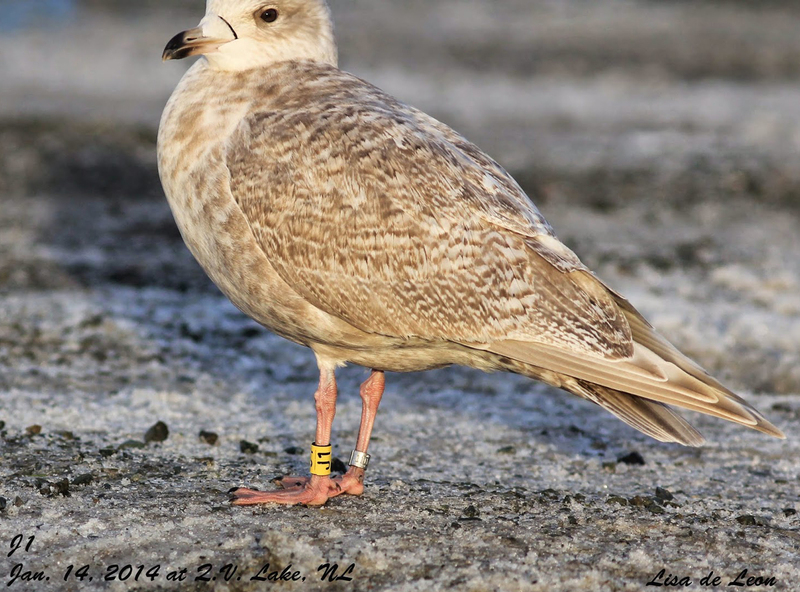 Yellow J1 and Fed band no 1106-23073, banded in winter on January 23 2013, in St. John's, Newfoundland (LAT: 47.80833; LON: -52.80833). 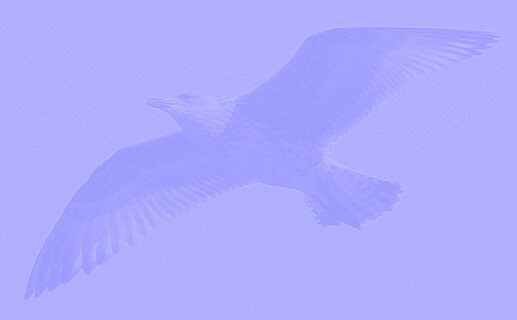 below: Iceland Gull (kumlieni) J1 1st cycle (2CY), January 26 2013, Quidi Vidi Lake, St. John's, Newfoundland. Picture: Peter Adriaens. Age 2cy: showing dark bill with slightly paler base, dark iris. below: Iceland Gull (kumlieni) J1 2nd cycle (3CY), January 14 2014, Quidi Vidi Lake, St. John's, Newfoundland. Picture: Lisa de Leon.